It's finally here, THE BEST BRANDING PROGRAM ever created. Without branding, your chances of success are slim to none. Without branding, you and your business won't make it! Branding is the fuel that runs your business, it is the lifeline that keeps everything flowing. Most importantly keeps people wanting to know more about you and do business with you. If you don't have brand awareness you can have the best product or service but no one will know who you are. Branding is the key to standing out and setting yourself apart from your competition; without a brand, it's almost impossible to succeed in today's world. Most people, and there is a good chance you are one of them, don't know where to start or what to do... what is the first step to building your brand. Everyone, including myself, had to start somewhere and this is what I am doing for you, helping you find a place to start with your brand. 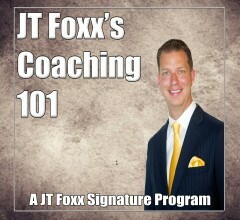 You will have the opportunity to hear from me about what I did, and how I continue to build my brand, but also hear from my top coaches about their experiences with branding. Branding from George Ross, Trumps former right-hand guy. Love Trump or hate him - it doesn't matter. The man knows how to brand and you will get to hear how from George. 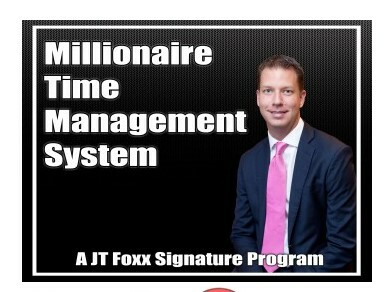 JT Foxx Branding is the fuel that runs your business, it is the lifeline that keeps everything flowing. Most importantly keeps people wanting to know more about you and do business with you. If you don't have brand awareness you can have the best product or service but no one will know who you are. Branding is the key to standing out and setting yourself apart from your competition; without a brand, it's almost impossible to succeed in today's world.